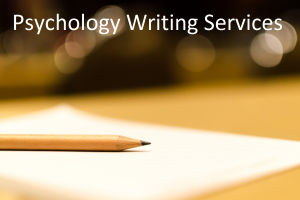 Fantastic Learning Tips For Dyslexics | What is Psychology? Imagine your frustration that your classmates have finished their tests and you are still struggling to understand the jumble of letters and words on the page. 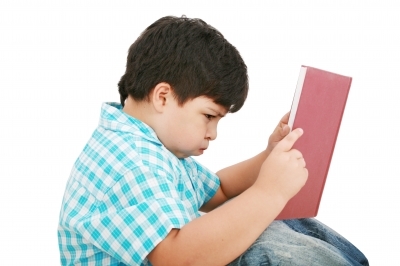 Dyslexic students cannot read efficiently or respond quickly to what they have read. People with dyslexia typically have average or above average intelligence but they labour to understand written text. According to the National Institute of Neurological Disorders and Stroke, there are several contributing factors that might lead to developing the learning disorder, including genetic makeup, brain injury, and others. Education experts have found effective ways for dyslexic students to improve their studying skills, such as listening to the information, rewriting the material into their own words, and using pictures to illustrate the information whenever possible. These and two other methods, recommended by the Yale Center for Dyslexia & Creativity and the Albany School, are processes that persons with dyslexia can use for a lifetime. The Yale Center for Dyslexia & Creativity explains that most dyslexic people have difficulty writing because it is not easy for them to form the letters. When the student struggles to write, he or she cannot absorb the information. The Yale Center advises that keyboarding is easier for dyslexic students than writing, and that they retain more information when they use keyboards. The center found that students who used keyboards improved their writing dramatically. When the students did not have to labour over letter formation, they used more words. The typical student’s self-expression improved because the keyboarding allowed stress-free expression of information. Mind maps are not a new concept, but Tony Buzan introduced the learning technique to the educational and business sectors in the 1970s. When mind mapping, the student puts the subject in the centre of the page and creates “spokes” radiating out from the subject. Each spoke is a category or section relating to the subject. Most instructors encourage students to use drawings and icons to represent their information and to use different colours for each spoke. Making a mind map is a mental and physical process. According to The Albany School, mind maps help most students learn their lessons, but it is especially helpful for dyslexic students. Education experts often report that students retain information when they rewrite it into their own words. In making mind maps, students do precisely that: they put the information into a diagram that makes sense to them. Dyslexic students usually learn through pictures and images, and they can incorporate these into their mind maps. Dyslexia is a lifelong condition as there is no cure for the disorder. However the compensation techniques that a person learns in school can significantly aid him or her throughout life. Converting text to spoken word, rewording the material, using images and pictures as memory triggers, typing the information instead of writing it by hand, and using mind maps or similar diagrams are all excellent study aids. Additionally, a computer or word processor equipped with spell-check program can help people with the disorder to edit their work. Dyslexia presents a formidable social and academic challenge for children and adults alike. However, with the right approach it is a challenge that can be successfully overcome. Sally is a post graduate and enjoys visiting universities to offer advice to students. She encourages new students to talk to Richmond University Alumni and Supporters to get first-hand accounts of experiences at university.